Leap into 2016 at the next MV Inn House Concert on February 29th – featuring the amazing T.R. Stewart! T.R. 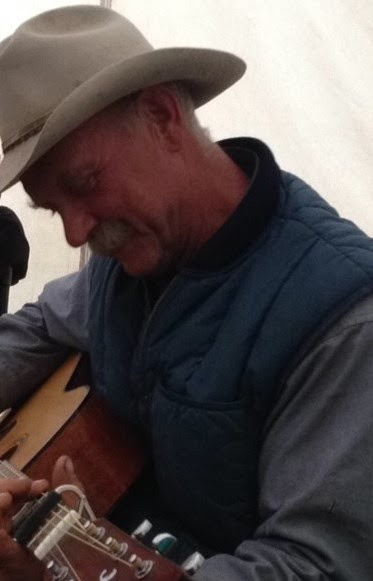 has been playing the guitar since he was 13 years old, but it wasn’t till he became a horse wrangler in the 70’s that he got interested in Cowboy music. In the 80’s he got even more serious, playing with the group, Mean Palominos. The 90’s brought him to the Methow Valley where he worked with the outfitters and was renowned for having ‘a guitar in every camp’. In 2002 he cut a studio CD with the Mean Palominos called Long Shadows to the West. He will have CD’s for sale at the concert. The concert will be a blend of Cowboy music and pure Americana! Doors open at 6:15, Concert is at 7:00. Beer and Wine will be sold prior to the concert and during intermission. Tickets are $15 and can be reserved by calling T.R. at 206-304-1298 or emailing him at tr3stewart@gmail.com. Come let T.R delight you with his singing and picking. It will be a treat!